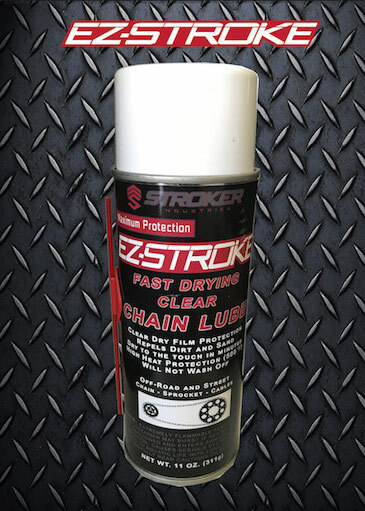 EZ-Stroke Clear Chain Lube is one of the best chain lubes on the market. Its unique, fast drying properties and extreme protection separate it from other lubes available. 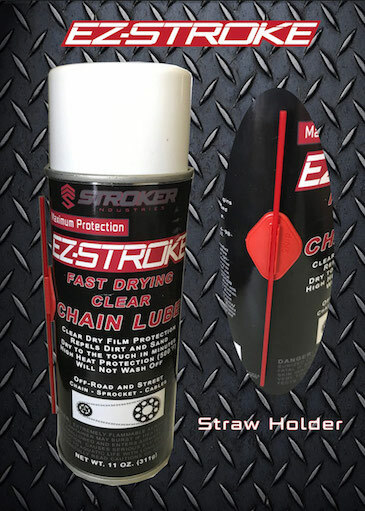 Once you apply EZ-Stroke it will dry in less than a minute and protect your chains, sprockets or cables from dirt and sand. 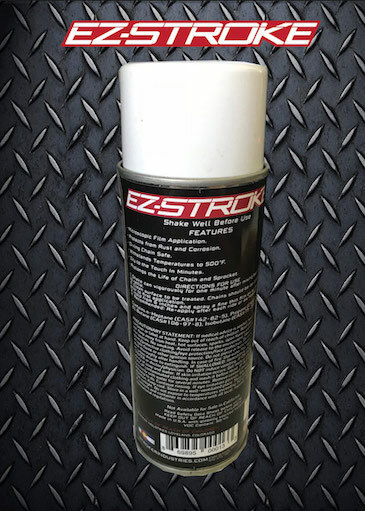 EZ-Stroke will not wash off and will protect from friction up to 500 degrees Fahrenheit. It is great for use on Off-road and Street machines. The convenient straw clip ensures that you won't have to search for your application straw again. Note: Not for sale in California.